Nice Boxart Right? Looks All Premium And New. 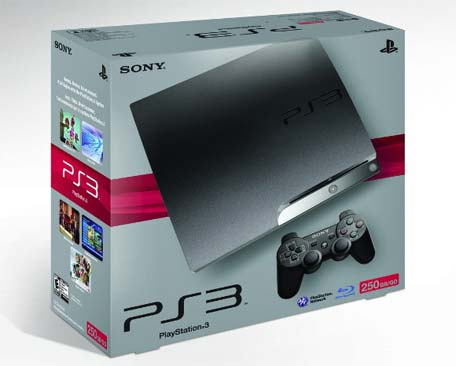 Not the greatest way of keeping things easy for your consumer base, but this 250GB Playstation 3 announced at the price of $349.99 for the US demographic represents outstanding value for money. You're essentially getting 130GB for $50. It's, like, totally up to you whether you think you'd use that extra space (we probably would) and thus we think that's what Sony are trying to do by putting an extra SKU on the marker: provide more choice. The new system will launch on November 3rd. Are you people still trying to find excuses to not buy a Playstation 3?